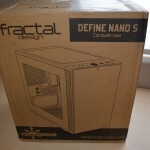 Bottom Line If you are looking for a ITX case that give you options and doesn't take up much room on your desktop, take a close look at the Define Nano S.
The Define Nano S is Fractal Design’s recent entry into the ITX case market. 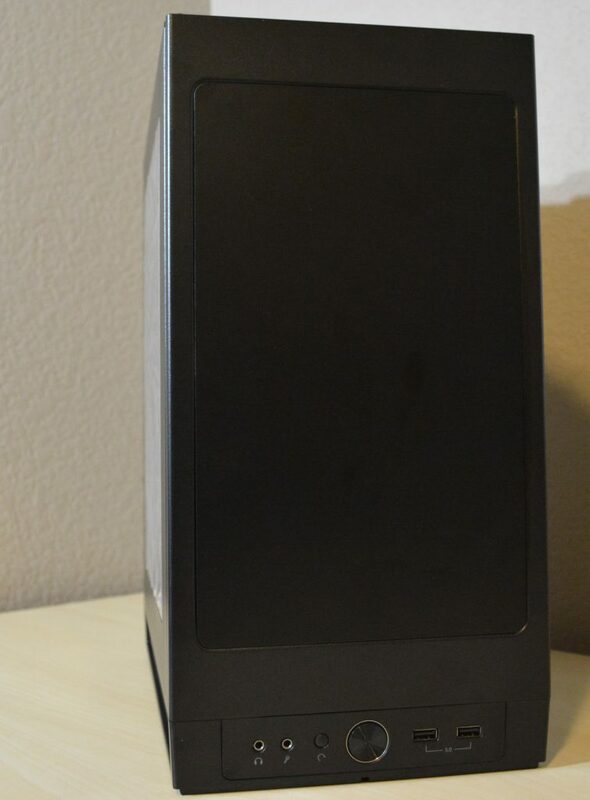 With several similarities to its bigger brother the Define S, and many ITX cases up near the $100 price point, this is this the best ITX case with lots of features that you can get at under $70. 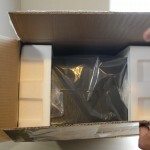 The case arrived at the front door inside its retail box with shipping labels attached. The Nano S is packaged with great thick Styrofoam around the front and rear of the case, along with plastic to protect your brand investment. 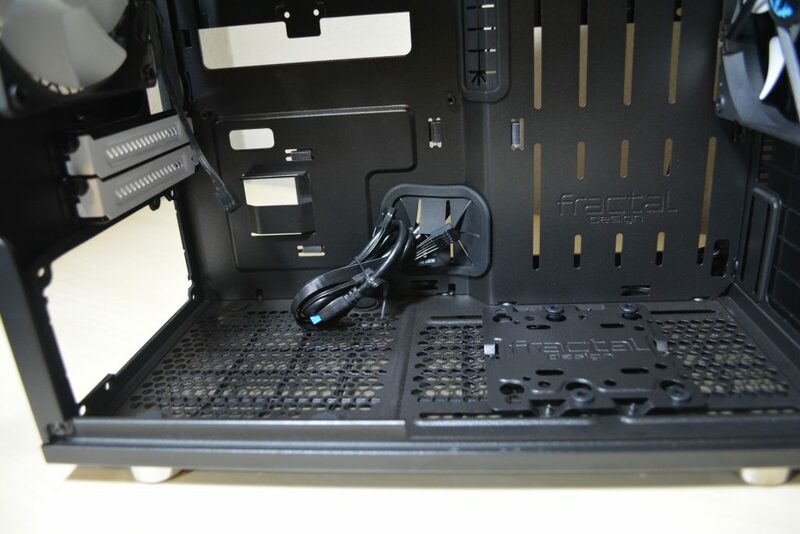 The accessory box that is included has everything you need from stand-offs, screws and even a fan splitter to plug in 2 fans to one motherboard header. Now that we have the case out of the box, let’s take a closer look starting with the Front of the case. Like the Define S, the Nano S has a nice plastic front cover that has some vertical line texture to make it not only feel premium, but looks great. 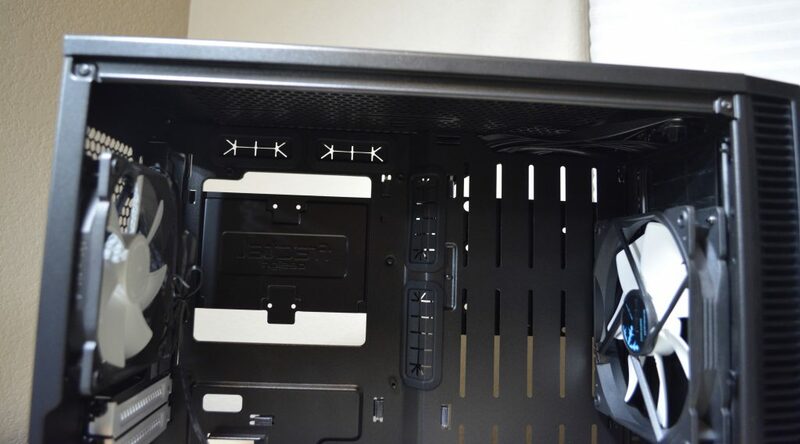 Both sides of the Front Panel have ventilation slits that go from top to bottom on both sides, making sure to not be restrictive and allowing enough airflow to the front intake fans. 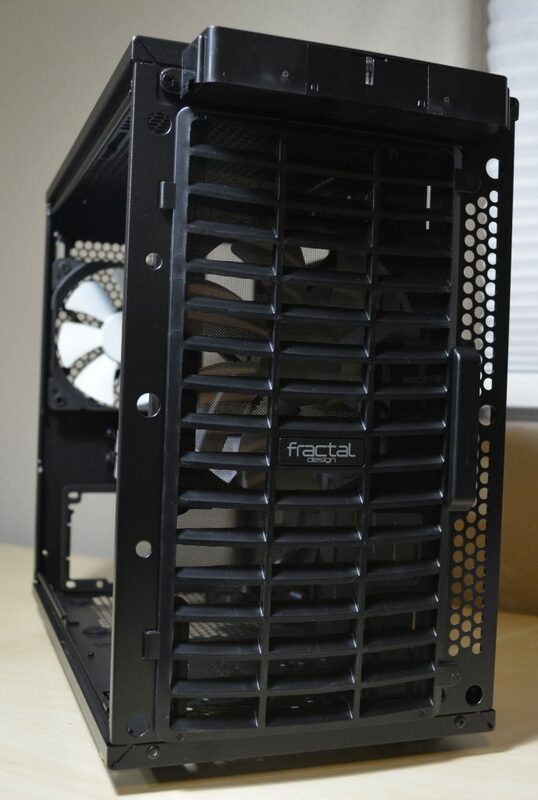 Taking the Front Panel off with a tug from the bottom exposes a nice dust filter and a GP – 14 Fractal Design fan that is included. Either 2x 120mm or 2 x 140 mm fans can be mounted on the fan strips that gives you the flexibility to mount your fans where you like them. The Front IO features a headphone jack, microphone jack, Reset switch, Power button w/blue LED ring around it, a HDD activity LED that is right below it on the front panel and two USB 3.0 ports. At the Top of the Case you can see the nice solid ModuVent cover that is included. Once removed you can see that there is plenty of ventilation and fan strips that allow you to position your fans where you like them. The Top can support either 120 or 140 mm radiators. The fan strips are positioned off center to try to not interfere with motherboard heatsinks, if heatsinks on motherboard exceed 35 mm in height or big heatsinks on RAM could potentially interfere with adding a 240 mm radiator up top. 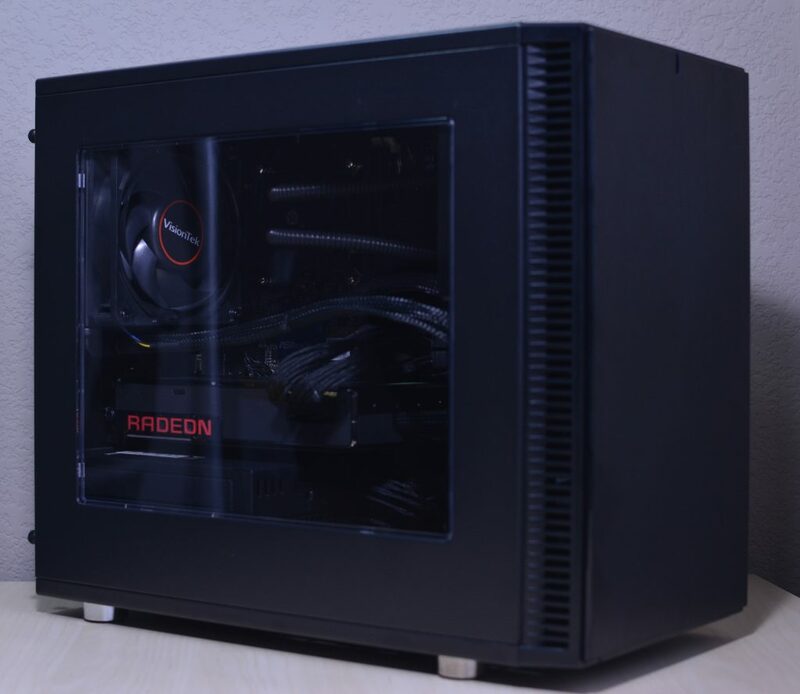 The Bottom of the Case features a dust filter that spans the entire length of the case and actually slides in from the front of the case, which is a nice touch, not having to move your PC to the side to reach the Dust filter pulling from the bottom rear or side of the case. 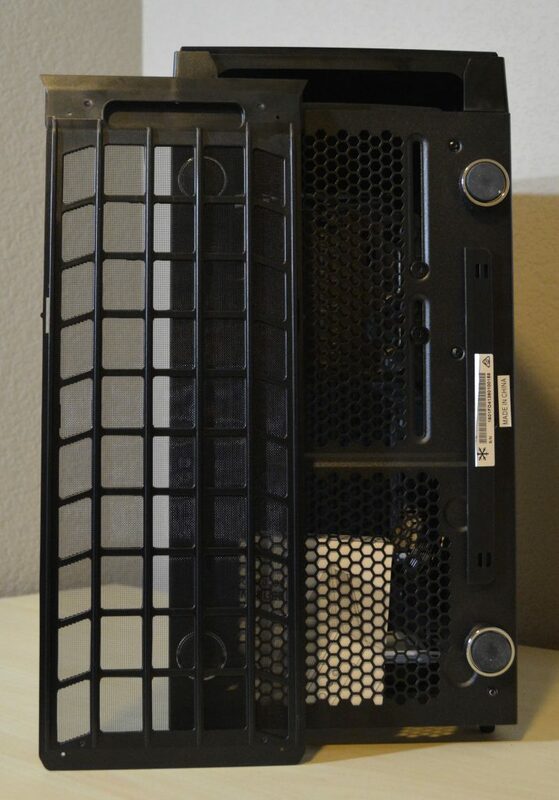 There are ventilation holes that also span the entire length of the case. 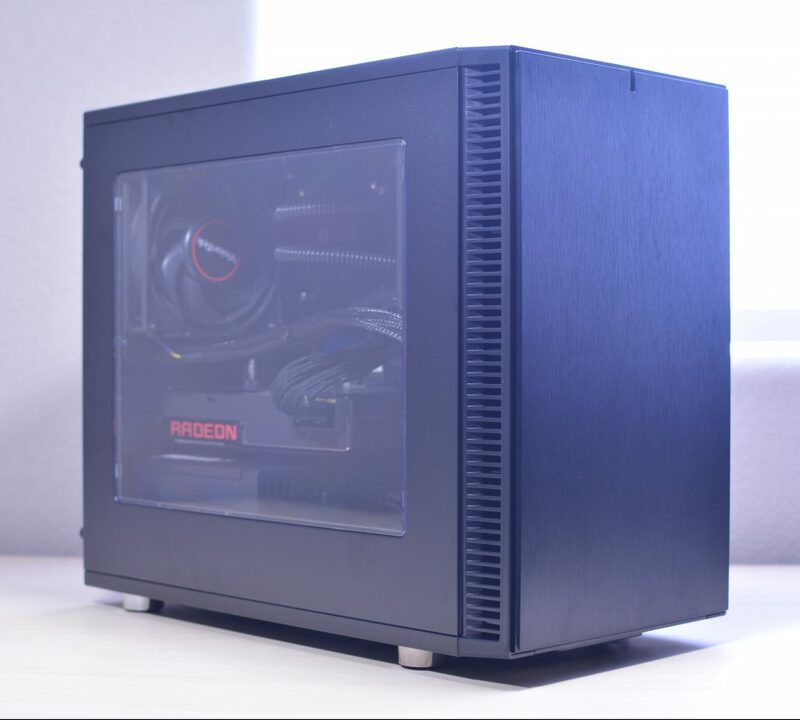 There are fan sliders in the front half of the case to make flexible and allow the user to position their 120 mm fan as they see fit. The case feet do a great job of elevating the Nano S and there is rubber on the bottom to protect the surface you place the case on. The rear of the case shows the bottom mounted power supply cut out, the rear IO cut out , a 120 mm exhaust fan and 2 PCIe slots. The right side panel is very sturdy and has sound deadening foam to absorb noise. Something that was introduced in the Fractal Design Define R5 and S was they captive thumb screws. Both side panels still have this feature and it is very convenient to not have to remember where you put your thumb screws. 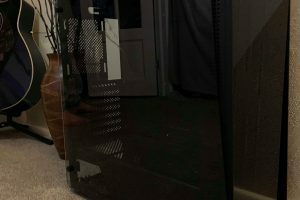 The left side panel features a giant acrylic window like the Define S. Its large and allows you see all of your PC components in the main chamber. Even with the large window, the side panel is still pretty sturdy. Starting at the Front of the case, just like the Define S you have a nice wall that gives you flexibility to mount a water cooler reservoir or even an 3.5” hard drive (with the provided 3.5” mount). It’s really great that they kept this feature because it gives the user options on where to put hardware. At the bottom there is an area to mount a 120mm fan or using the pump bracket provided, install a water pump or water pump/reservoir combo. 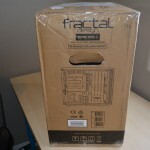 Once again it’s awesome that Fractal Design provides the bracket rather than making it an optional purchase. Moving to the rear of the case there are nice pads included to keep your power supply elevated and reduce vibrations. There is also the GP-12 fan in the 120mm exhaust fan location and a 120mm radiator can also be placed here. 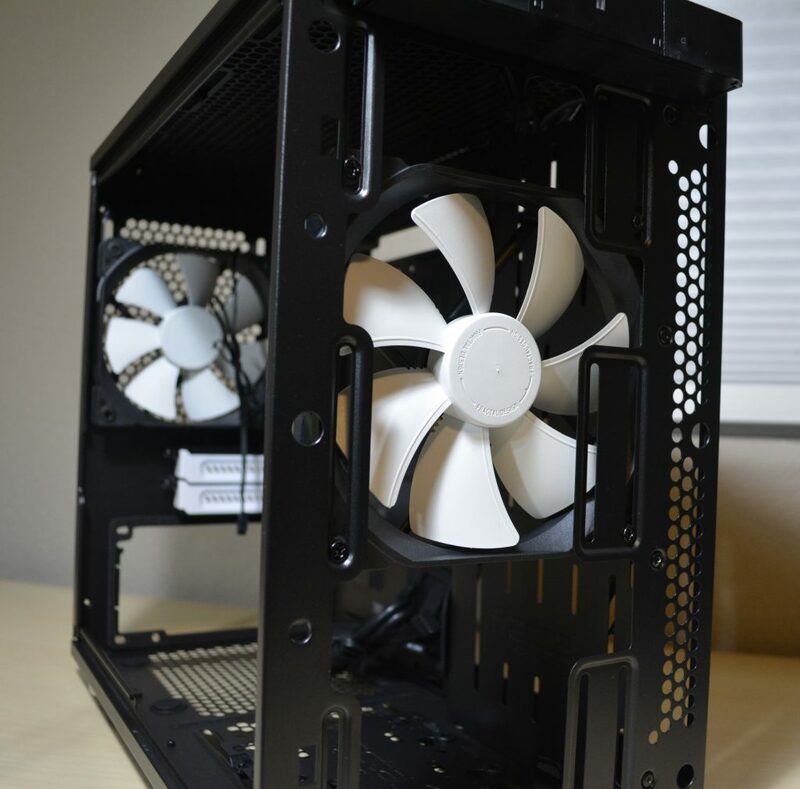 At the top of the case there is ventilation holes, fan sliders to be mount a 240mm radiator or 2 x 120mm fans. The fan sliders are off set to be able to not interfere with most motherboard heat sinks. 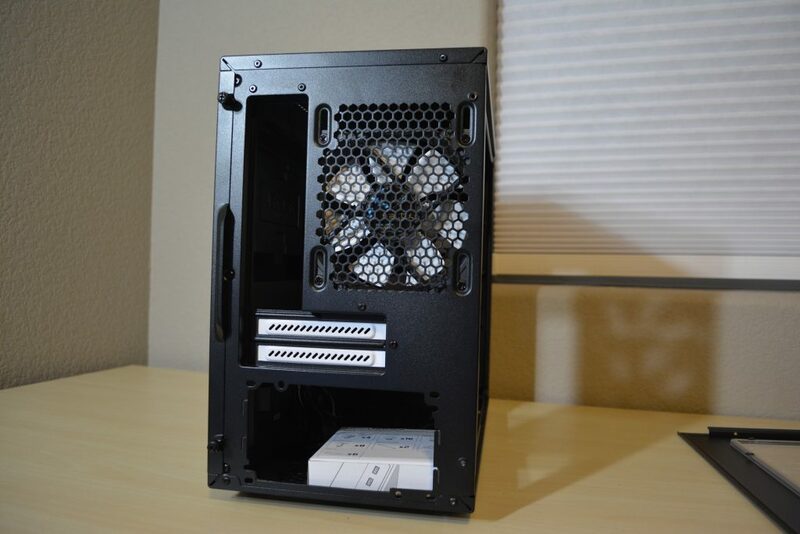 On the right side of the case you have a large cutout for mounting your CPU heat sinks. Right below the cutout there are two SSD trays that are secured with a thumbscrew. On the near the front of the case, on the other side of the wall there is a place to mount a 3.5” hard drive. There are several cutouts with grommets to pass your cables through to the front side of the motherboard tray. Finally there are three Velcro straps to be able to manage your cables. These are very convient and you can manage most of your cables with these three straps but it would also be benefical to add a few more cable tie locations to help further manage your cables. 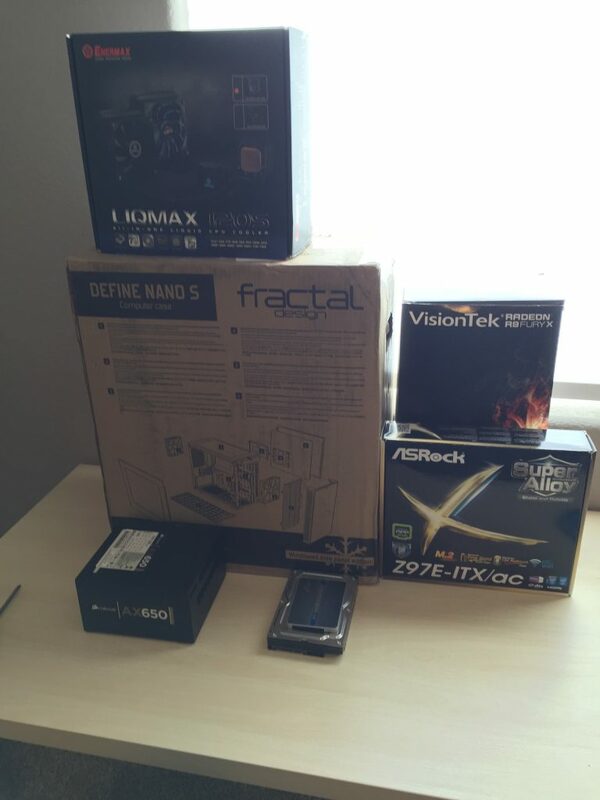 Overall the build went together easily compared to my ITX builds in the past. 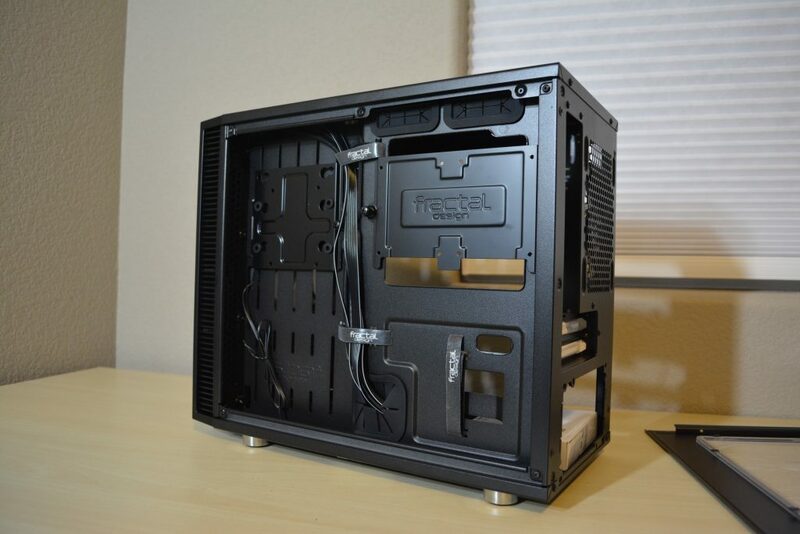 Normally with a ITX build you plan your cable management out early, this is because most ITX cases don’t have very much room for cable management. 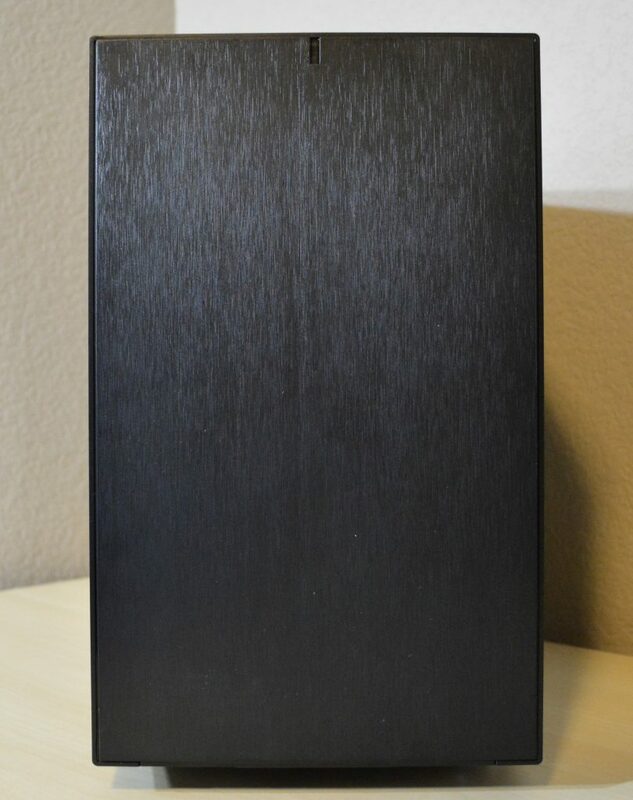 This case is bigger than many ITX cases, it’s about the size of an mATX case. Building inside the Define Nano S was very smooth. I had no issues installing any of the components. 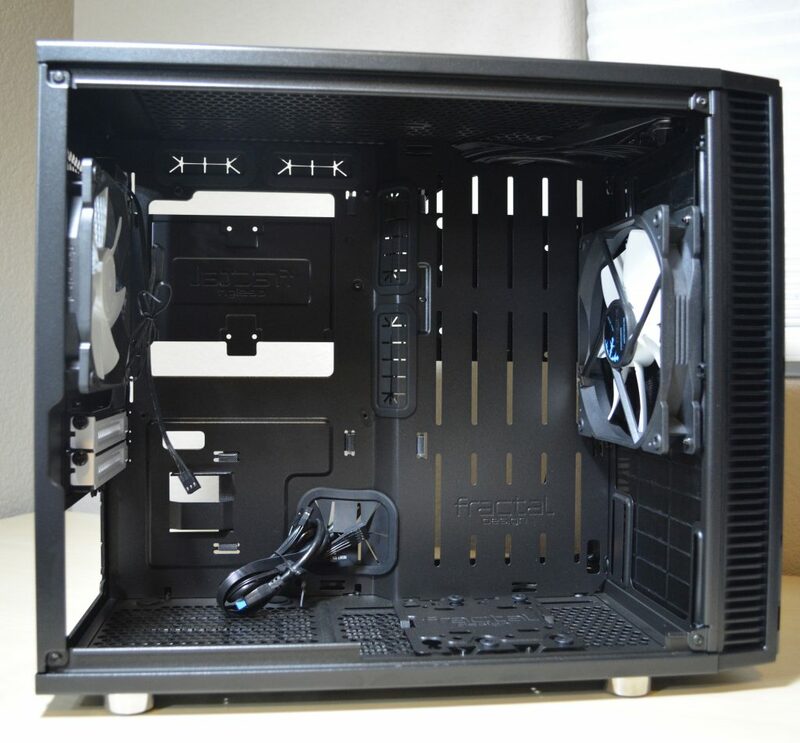 There really is a lot of room in the main chamber of this case to be able to either install a large GPU with also a large CPU cooler or installing a great water cooling setup. With the space behind the motherboard I had no difficulty with cable management. The Velcro straps were a joy to use to secure my cables. I do wish there were also a few more locations for cable tie mounts. With the sound deadening on the right side panel, I did need to use a little force to make sure the panel close flush, this is also because I am using individually sleeved cables. 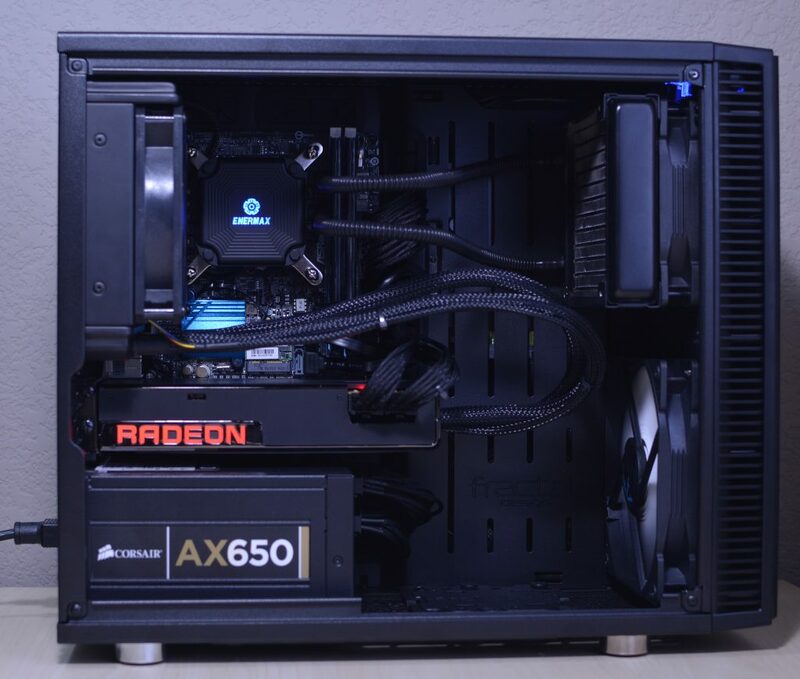 For my two radiators, I chose to install the Fury X radiator in the rear 120mm position because the radiator on the Fury X needs to be exhaust and for my CPU cooler, I was easily able to install the Enermax Liqmax 120S in the front of the case. 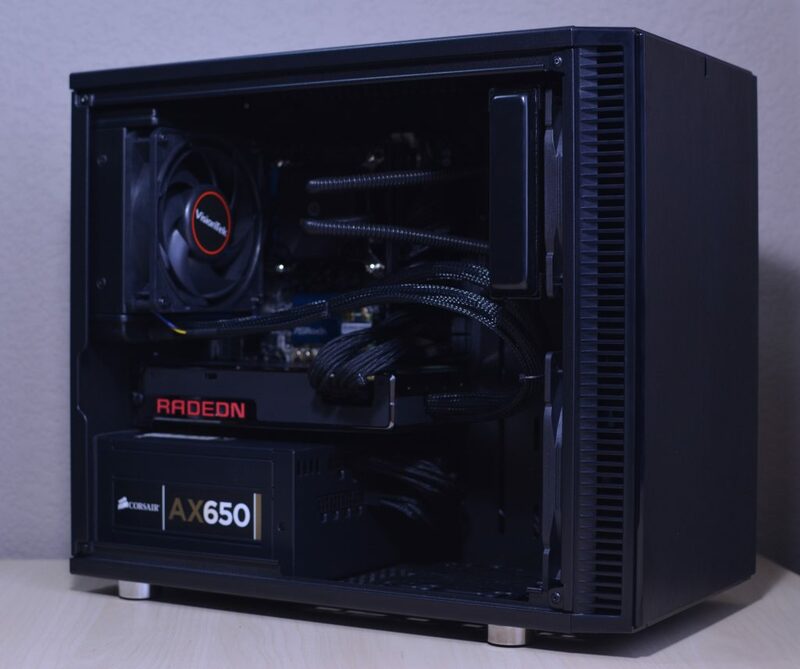 The fact that you are able to install a 280mm in the front is just awesome for anyone who wants to install an AIO unit or do custom water cooling. 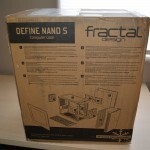 Overall the Define Nano S by Fractal Design has been the easiest and most enjoyable ITX case to build in. It has so many options for water cooling and the little details make this case a pleasure to build in. 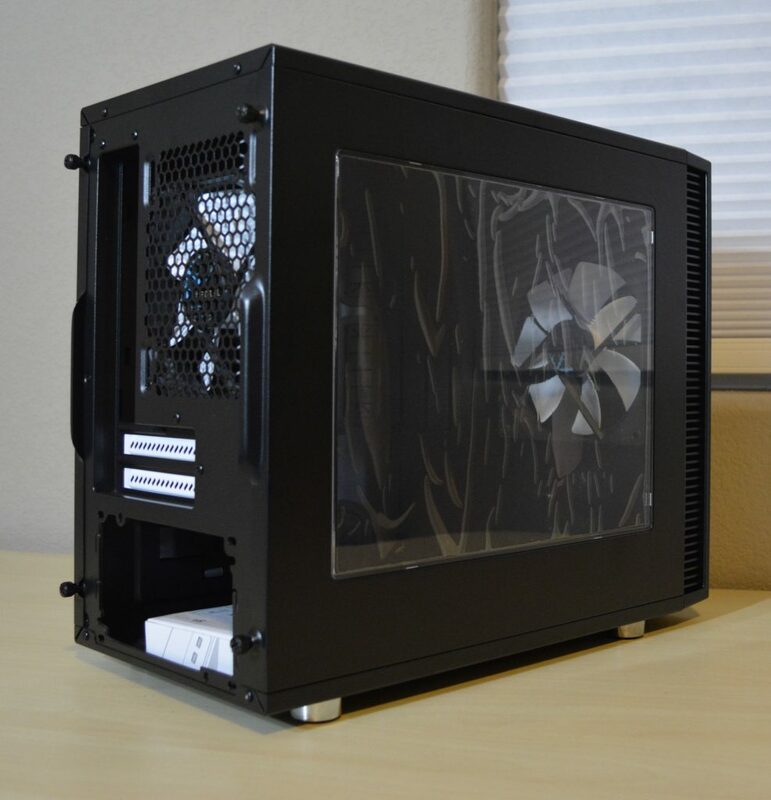 Hardware fits easily inside the case and the giant window allows you to admire everything. 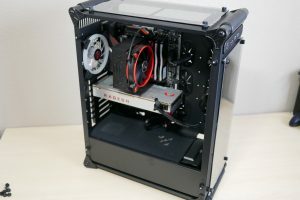 With how open the case is, the two included fans provide adequate air flow throughout the case, even with the ModuVent closed.